For several years now, the development of aviation biofuels has been all the rage and there is plenty of hype out there as to how biofuels are going to revolutionize the skies. But how viable is the hype and when will this groundbreaking technology really start to pay off? The production of aviation biofuels is being encouraged by a 2016 agreement cobbled together by the International Civil Aviation Organization that aims to cap airline pollution at 2020 levels. Biojet fuels are expected to deliver 56 per cent of the industry’s targeted emissions by 2050, according to Lux Research of Boston. While there have been plenty of relatively short haul flights using biofuels, including some by Air Canada and Porter Airlines, among others, in November, Hainan Airlines completed its first transcontinental flight between China and the Chicago in 13 hours. The Boeing 787 aircraft GEnx engines were powered by a mix of jet fuel and biofuel derived from used cooking oil, which resulted in a 20 per cent savings in fuel costs, according to the airline. Air New Zealand and Virgin Australia are looking at producing their own biofuel in a move aimed at reducing emissions and improving fuel savings, while Alaska Airlines has been testing a new plant-based biofuel manufactured by the Northwest Advanced Renewables Alliance. And in 2014, Oslo Airport became the first hub airport in the world to receive regular deliveries of biofuel after SAS, KLM and the Lufthansa group signed a supply deal with Statoil Aviation. Even as more airlines are experimenting with biofuels, they still account for less than one per cent of global jet fuel consumption, partly because supply is limited and partly because it is two to three times more expensive than conventional Jet A fuel. One of the major concerns is food availability and the side effects of growing biofuel crops. Most biofuels are fuels converted from processed biomass including vegetable oils and animal fats. Plantation of these crops may not only sacrifice croplands for food, causing food shortages, but carbon dioxide would also be released during deforestation and biofuel production. But there is at least one local company that may have a solution. Agrisoma Biosciences of Gatineau, Que., signed a deal last November to supply biofuel to Australia’s Qantas Airways made from Carinata seed – a non-food, industrial type of mustard seed that produces oil suitable for aviation and diesel fuel. 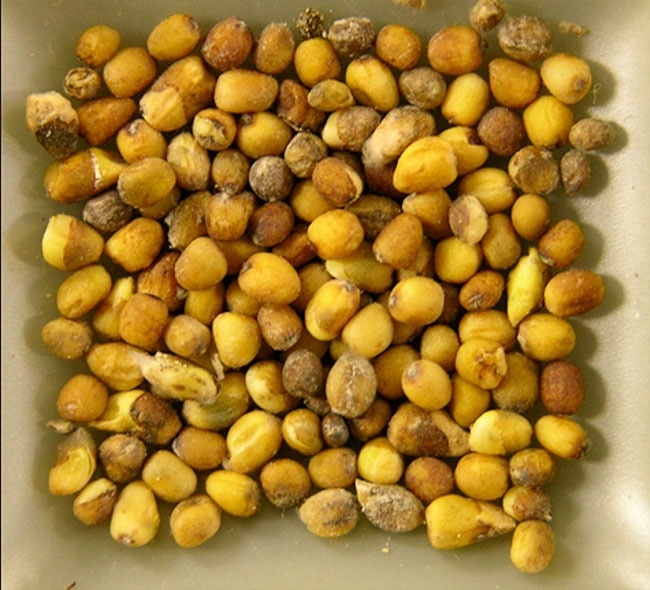 The oilseed produced by Agrisoma is called Resonance Carinata. Described by the company as being hardy and drought-tolerant, it is a non-food crop, meaning it is not meant for human consumption and can be grown on fallow land that would otherwise lie unused. Carinata is a crop that requires no specialized production or processing techniques and uses little water. Field trials in Gatton, Queensland, and Bordertown, South Australia, have demonstrated it should do very well in the Australian climate. It is sown either in fallow areas where crops fail or in between regular crop cycles, known as “cover cropping.” Rotational or cover cropping improves soil quality, reduces erosion for food crops and provides farmers with additional annual income. Qantas said it chose Agrisoma because the Carinata seed can be grown in Australia and the Canadian company has a proven track record and is committed to establishing a supply chain. The partnership is the first of its kind in Australia and will see Agrisoma work with Australian farmers to grow Carinata. That will be complemented by seeds grown elsewhere to feed its global travel network. In addition to Oslo, LAX is offering biofuel on site, while Montreal’s Trudeau Airport is experimenting with a similar program. The cost is high because there are very few dedicated biojet fuel manufacturing facilities, explains Fabijanski. The high cost will be offset once there are economies of scale. There has been some interest from Canadian carriers, including Porter Airlines, which used fuel from Agrisoma for its first biojet fuel flight in 2012. Canadian Bio Fuel company, UF to advance bio jet fuel in the U.S.